This is a really sweet video from The New York Times, titled “Vows: In Sickness and in Health. 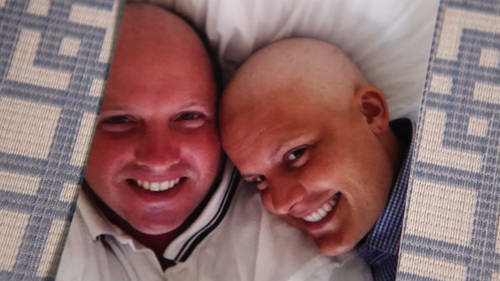 It’s the story of a man and woman that have been dating for six months, and then find out the woman is diagnosed with breast cancer. The guy proposes in the hospital: Watch the video if you want a Sunday-morning pick me up. This entry was posted in Rating the news, Stuff that makes me happy and tagged Breast cancer, Engagement story, Fighting cancer, Heartwarming, Love, Marriage proposal, New York Times, Vows by Laura Rosbrow. Bookmark the permalink.